1. Make a list of the credit cards plus the current balance and interest rate used during the holiday season and set a deadline to pay off these bills. Be aggressive and aim to pay off the cards within the next six months or less! Use platforms like Personal Capital to track your accounts. 2. Pay more than the minimum balance on at least one credit card. Tackle the credit card with the highest interest rate first. Pay the minimum balance on your other credit cards, while targeting all extra cash to the card with the highest interest ratefirst. Rinse and Repeat. Use tools like Digit to find extra cash in your current spending. 3. Ask for or Negotiate a lower interest rate with your credit card company. Every little bit helps, so ask for a lower interest rate to pay off your holiday debt sooner. Check out sites like Bankrate.com to see if your card has any current offers on the market. 4. Consider temporarily pausing subscription services (Netflix, Hello Fresh, Stitch Fix) AND shop around for lower rates with service providers you spend money with regularly (auto or renter’s insurance, natural gas providers). Use those savings to erase credit card debt. 1. Wait for miracle money (e.g., gambling gains, anticipated bonuses, etc.) 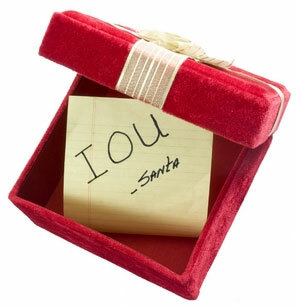 to begin paying off holiday debt. These sources are not guaranteed, so plan to tackle debt repayment based on your current income sources. 2. Take out a 401(k) loan to payoff your debt. Avoid borrowing from retirement accounts at all costs! Doing so will reduce your eventual retirement and may force you to work longer. 3. Open a home equity line of credit to payoff your debt. Instead of paying off the debt, you are simply transferring the debt to an asset – your home. 4. Apply for a payday loan. Payday loans prey on low-income borrowers who are strapped for cash. These loans are never a good idea based on the extremely high fees charged by the lenders. Becoming debt-free is possibly one of the best gifts you can give yourself this year. While debt repayment requires commitment, consistency and patience, the benefits grant you financial control, freedom and options. If you are finally ready to be debt-free, Loan Crusher is your ideal next step to eliminate debt without sacrificing your lifestyle. Click here to sign up today! For more inspiration to overcome holiday spending woes, check out How To Recover From a Financial Hangover. We want to hear from you. 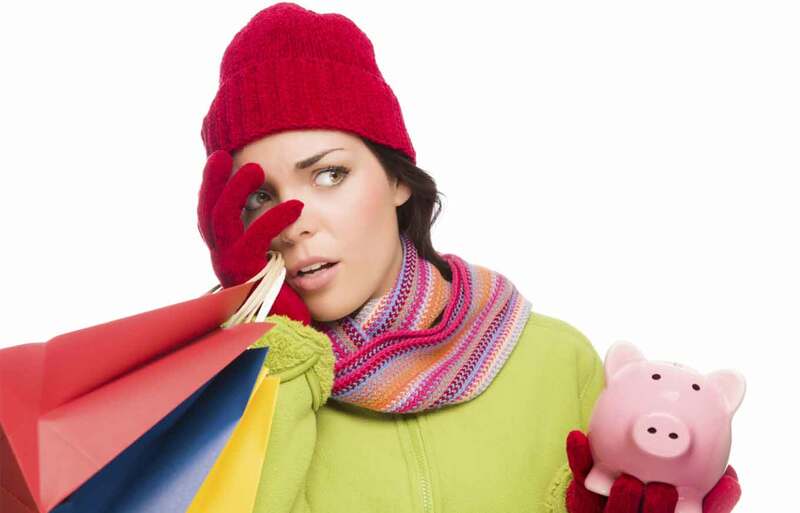 Did you incur holiday debt? Share how you plan to repay the debt.